Whether you're a new college student incurring student loan debt or on the other side of college and working to pay it all off, know this—you’re not alone. The Pew Research Center found Americans owe more than $1 trillion in lingering student loans. Statistically speaking, if you walked into a room filled with college graduates, more than half would have outstanding student loan debt. There’s one thing every person burdened with debt has in common: they all want to rid themselves of hefty monthly payments as quickly as possible. Below are some tips to help you pay down your student loans faster and find financial relief sooner. Although it sounds obvious, we have to start here. Your student loan debt will not magically disappear. Don’t ignore the problem. Failing to attack the debt head-on will create a negative ripple effect throughout the entirety of your financial outlook. Think of it this way: the sooner you pay off your student loan debt, the sooner you can start saving for that epic vacation you’ve always dreamed of. To get started, identify all your student loans and investigate their interest rates, payment due dates, and minimum payment requirements. Gather all the information you need to create a detailed plan that will work in conjunction with a strict monthly budget. Now that you’ve created your plan and are living within your budget, you’re beginning to get a clear picture of your spending money every month. Make the sacrifices necessary to devote as much as you can towards your goal. Reduce cell phone bills. Cut down on subscription-based services. The more monthly income you devote to paying down debt, the quicker you’ll see results, and the more money you’ll ultimately save in interest. Make more than the minimum payment each month. Minimum payments will have the type of impact the name suggests—minimal. If you focus instead on making payments beyond the minimum, you’ll start to see the balances dwindle. Making extra payments throughout the month can also have a dramatic impact on your debt. 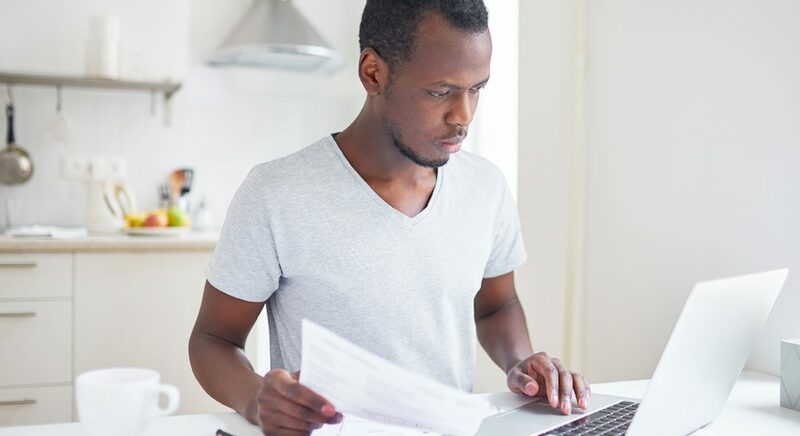 Although it’s not common, investigate the fine print on your student loans (or call a loan representative) to ensure that you aren’t penalized for making extra payments. By doing this, you’ll maximize your payments to minimize your debt timeline. Refinancing your student loan debt to a lower interest rate loan could save you a significant amount of cash in the long run. Begin by looking at your current student loan interest rates and comparing them to the rates available in today’s refinance market. Lower interest rates mean you’ll devote less of your hard-earned cash to interest and more to the loan principal. This tip may technically fall into the sacrifices category, but it’s important enough in its own right to highlight. Avoiding big purchases means saying no to lavish temptations, like that new gaming system and big-screen TV. If your beater car can get you from home to work reliably, stick with it. Avoid putting money into new cars, expensive trips, or five-star dining. Postpone those big purchases until you’re in a position to reward yourself for your firm adherence to a strict budget. Motivation will vary from person to person. Yours may be as simple as plotting a payoff graph and watching those debt totals go down over time. Or maybe you’ll stay focused if you throw yourself a little mini-party to celebrate every student loan you pay off. Do whatever you need to stay motivated (as long as it doesn’t break the budget of course). This is especially important at the beginning of your journey when debt totals will seem daunting, and the finish line appears impossibly far away. Debt consolidation can be a great way to get out from under and on the road to financial freedom. Spring is in the air. It’s time to open the windows, air out the house, and dive into that deep spring clean you’ve been looking forward to all winter long. Look for lump-sum payment opportunities. If you happen to come into some cash, a lump-sum payment could have an exciting impact on your student loan debt. It’s satisfying to see the balance take a drastic dive, and a lump-sum payment could provide that gratification. Tax refunds or selling unwanted items are good examples of lump-sum payment opportunities. Whatever the source of funds, making such a payment can boost your morale and give you the second wind you need to finish the payoff race. Various loan forgiveness programs, most notably public service and teacher programs, provide opportunities to have your debt essentially erased in exchange for working in a particular field or community. For example, teacher forgiveness programs reward educators while public service loan forgiveness programs offer debt relief to eligible government employees or those working for nonprofit organizations. Forgiveness program terms and conditions are constantly evolving, so it’s best to speak with a professional. Last, but certainly not least, stay dedicated to the process. Develop your plan, formalize your budget, and stick to it month after month. As with most challenges, the struggle will diminish over time and you’ll soon begin to achieve real momentum in reaching your goal. If you have any questions regarding your student loan debt, Member One is prepared to help. Visit our loans page to contact an expert today.